Any summer visitor, and especially accustomed to comfortcitizen, understands how necessary water in a country house. Without it difficult to care for the plot, it is impossible to use appliances, even wash the dishes or take a shower is problematic. That is why the owner of the house, in the end, think about how to make the water supply in the country with their own hands. 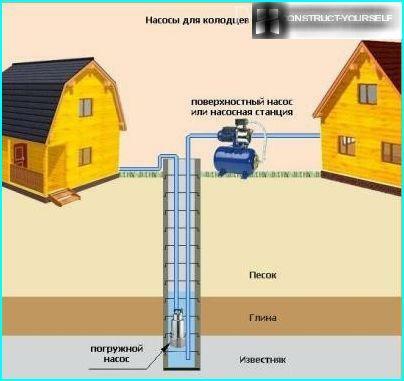 Self-Installation - this is a big savings and valuable experience, which is useful for maintenance or repair of the water system. 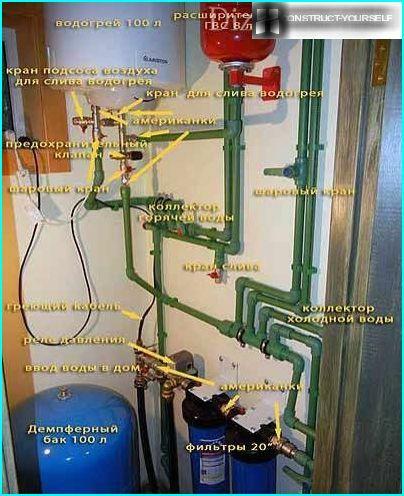 In an ideal setting on the water pipe is discusseddesign stage house: make a phased plan, draw a layout of pipes and mechanisms calculated estimates, produce procurement of equipment. 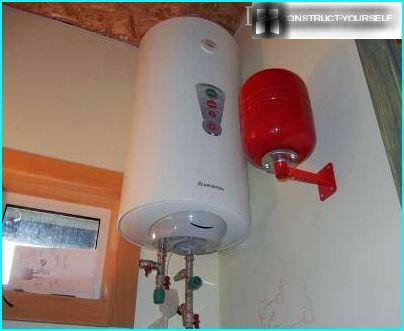 For the installation of the boiler-water meter unit for a small room on the first floor with an area of ​​2-3 m ?. Installing the technical equipment and water input node in the same room, it is convenient to monitor the water supply process and regulate it. Some will wonder what's inside the winterwater supply in the country. So, the definition of "winter" this does not mean that it is used only in the winter. This aqueduct device in the country has a capital scheme that regularly all year. Of course, the laying of water supply system in the countryimpossible without water supply. Typically, a pre-equipped with a well, spring catchment chamber or well. Each source has its pros and cons. For example, the water in the well is much cleaner, but its drilling will result in a large amount. It is much cheaper to dig a well, equipping its submersible pump and installing a three-stage filter system for water purification. Submersible pump. It maintains the water level 20 m, workssilently. Pump check valves complement the accumulators, filtration unit, automatic block and the guard assembly with fittings. When you select should pay attention to the impeller material. To make better use of contaminated water wheel made of stainless steel. Surface pump. Apply if the water level is less than 8 m. Installed in the premises, combining the well feed pipe. Automatic pump station. The hydraulic part is separated from the electric motorpartition. Diesel or gasoline generator is often used for pumping groundwater or irrigation area. The station consists of a pump, accumulator and automatic block. Pumped storage tank at the same time plays the role of a reserve tank, and prevents frequent switching of the pump. Cheap pumping stations produce a loud noise (for example, "JEELEX"), so it is best to install a new generation of equipment (Grundfos JP, Espa Technoplus). 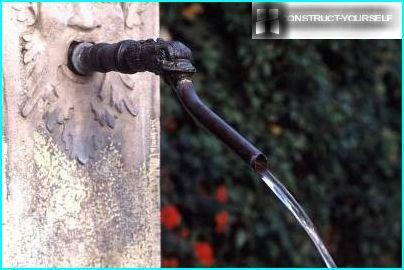 Reliable water supply device in the country inIt depends on the quality of the pipes. Avoid fast repair enable reliable, durable material. 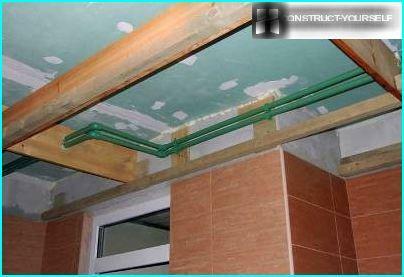 Easy to install and have excellent characteristics of Polypropylene welded pipes green on "Banninger" (25 mm diameter). They are more expensive than traditional white pipes (for example, "Pro Aqua") by 30%, but is resistant to temperature changes and retain the tightness even during frost. For welding of PP pipes used payalnik- "iron", which can be purchased at the store for 2-3 thousand. Rubles. Some components of the piping collect"Suspended", and then assembled on site. We must remember that about 8 cm pipes need to be welded, so each section of the aqueduct is calculated in advance. 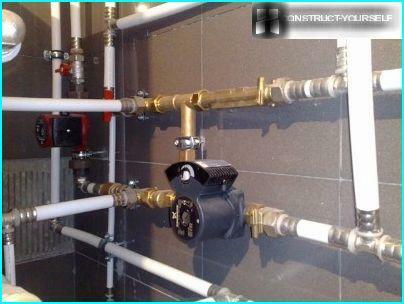 Place piping selected based on thelayout of rooms and ease of installation. If the room is planned suspension structures, traditional low installation above the floor can be replaced with a top-mounted - under the false ceiling. 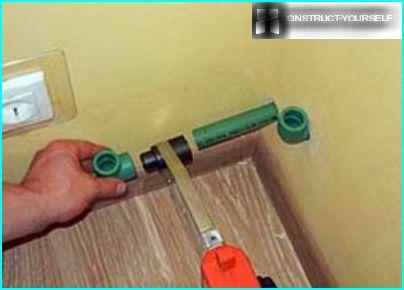 This pipe-laying is perfect for the bathroom or kitchen. To adjust the pressure in the pipes will requireexpansion tank. 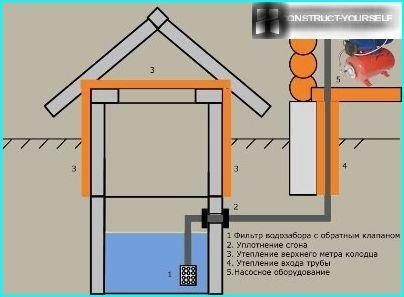 Capacities of 100 liters is enough for the water system two-storey house. This does not mean that the tank will be able to dial 100 liters of water, it is filled about one-third (at a pressure of 3 atm.). Therefore it is necessary to buy a larger expansion tank, if necessary. There is a feature of it. Expansion tanks for heating - red, tanks for water - blue. That water was not just clean, safe and welluseful, you need to install a multi-filtration system. stores in filters diversity allows to choose the most appropriate model, depending on the composition of water. 1 - ion exchange filter which removes from waterdissolved iron. 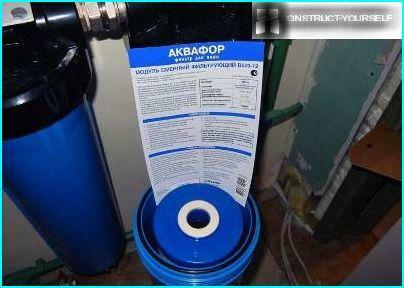 An example of such a filter is products Big Blue. bulb cost - 1.5 thousand rubles, cartridge -. 3.5 thousand rubles.. If the iron component in water is 1 mg / L, the toner cartridge is 60 cubes. 2 - carbon filter for mechanical cleaning. To find out whether the water for drinking, the sample shall be handed over for analysis suitable. If the results are unsatisfactory, it is necessary to put another filter, be sure to boil the water before drinking. Summer version of the aqueduct fits cottagers,who travel outside the city only during the warmer months. The purpose of this system - to provide watering flower beds and flower beds, working shower and household appliances. At the end of the season the equipment is washed, understands and is preserved until the next summer. It is easy to arrange summer water gardenwith his own hands. For this purpose, a system of flexible tubes with adapters. The main pressure necessary for the connecting elements, therefore they are made of plastic or galvanized steel. Steel elements stronger and more stable than the plastic counterparts, but are more expensive. Plumbing is located on the ground surface. Plus - easy assembly and disassembly. Minus - the possibility of breakage. The pipes are buried in shallow ground, come to the surface only cranes. 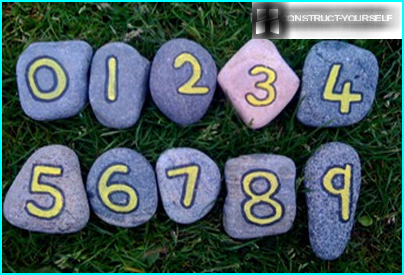 During operation, the system does not stop, and it is easy to dig up and remove, if desired. You should know how to make the water supply in the country,so late in the season can easily drain the water from the pipes. To do this, create a small slope to drain. At the lowest point of the water supply system installed valve: through it drained water to the winter when it freezes it is not broke pipes and hoses. When installing winter or summer the system is necessary to monitor the electrical network security. 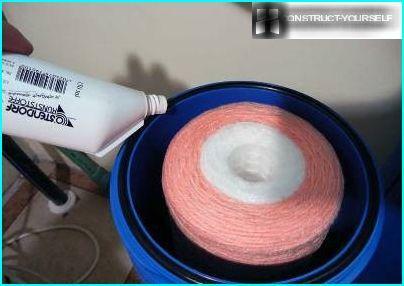 For this purpose, use waterproof sealed connectors and sockets. 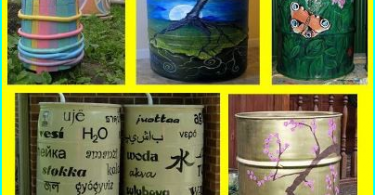 Metal Art with your hands - how you can apply in the garden?